Finance for $559 per month at 4.37% APR for 72 months with $3,995 down payment. Payment expires on 04/30/19. This Vehicle is equipped with: Cargo Package, Essential Package (Around View Monitor w/Moving Object Detection, Bose 10-Speaker Premium Audio System, Climate-Controlled Front Seats, Front & Rear Sonar System, Heated Steering Wheel, INFINITI InTouch Services, Lane Guidance And 3-D Building Graphics, Leather-Appointed Seat Trim, Radio: AM/FM/Single CD w/INFINITI InTouch Nav, and Voice Recognition for Navigation Functions), Premium Select Edition - Graphite Interior (Darkened Lower Rear Bumper, Floor Mats w/Contrast Piping, Illuminated Kick Plates, Rear Decklid Spoiler, Semi-Aniline Leather-Appointed Seating, Sport Brakes, Suede-Like Headliner, and Wheels: 20" x 9.0" Aluminum-Alloy), 4-Wheel Disc Brakes, 6 Speakers, ABS brakes, Air Conditioning, AM/FM radio: SiriusXM, Anti-whiplash front head restraints, Audio memory, Auto tilt-away steering wheel, Auto-dimming door mirrors, Auto-dimming Rear-View mirror, Automatic temperature control, Brake assist, Bumpers: body-color, CD player, Delay-off headlights, Door auto-latch, Driver door bin, Driver vanity mirror, Dual front impact airbags, Dual front side impact airbags, Electronic Stability Control, Four wheel independent suspension, Front anti-roll bar, Front Bucket Seats, Front Center Armrest w/Storage, Front dual zone A/C, Front fog lights, Front reading lights, Fully automatic headlights, Garage door transmitter: HomeLink, Genuine wood console insert, Genuine wood dashboard insert, Genuine wood door panel insert, Heated door mirrors, Heated Front Bucket Seats, Heated front seats, Heated rear seats, Illuminated entry, Leather Shift Knob, Leather steering wheel, Leatherette Seat Trim, Low tire pressure warning, Memory seat, Occupant sensing airbag, Outside temperature display, Overhead airbag, Overhead console, Panic alarm, Passenger door bin, Passenger vanity mirror, Power door mirrors, Power driver seat, Power moonroof, Power passenger seat, Power steering, Power windows, Radio data system, Radio: AM/FM/Single CD w/INFINITI InTouch, Rain sensing wipers, Rear anti-roll bar, Rear reading lights, Rear seat center armrest, Rear window defroster, Remote keyless entry, Security system, Speed control, Speed-sensing steering, Splash Guards, Steering wheel memory, Steering wheel mounted audio controls, Tachometer, Telescoping steering wheel, Tilt steering wheel, Traction control, Trip computer, Turn signal indicator mirrors, Variably intermittent wipers, and Wheels: 18" Unique Aluminum Alloy. *Pricing is based on standard INFINITI APR.Contact us now to find out why so many customers from across the US rely on INFINITI of San Antonio, a family owned business since 1948, to meet their automotive needs!Outside of San Antonio area, no problem, we offer: Reliable, affordable and fast shipping options - Our shipping partners are licensed, bonded, fully insured & experienced with high-end vehicles.Hassle free and competitive financing options - Let us leverage our relationships with leading Banks & Credit Unions to get you the lowest rates and best terms for all credit types.Whether you're shopping for a new INFINITI or a quality used pre-owned vehicle you'll receive the same first-class experience from our certified staff of factory trained specialists.Call us today or visit us at www.infinitiofsanantonio.com. Finance for $564 per month at 4.37% APR for 72 months with $3,995 down payment. Payment expires on 04/30/19. This Vehicle is equipped with: Essential Package (Around View Monitor w/Moving Object Detection, Bose 10-Speaker Premium Audio System, Climate-Controlled Front Seats, Front & Rear Sonar System, Heated Steering Wheel, INFINITI InTouch Services, Lane Guidance And 3-D Building Graphics, Leather-Appointed Seat Trim, Radio: AM/FM/Single CD w/INFINITI InTouch Nav, and Voice Recognition for Navigation Functions), Premium Select Edition - Graphite Interior (Darkened Lower Rear Bumper, Floor Mats w/Contrast Piping, Illuminated Kick Plates, Rear Decklid Spoiler, Semi-Aniline Leather-Appointed Seating, Sport Brakes, Suede-Like Headliner, and Wheels: 20" x 9.0" Aluminum-Alloy), 4-Wheel Disc Brakes, 6 Speakers, ABS brakes, Air Conditioning, AM/FM radio: SiriusXM, Anti-whiplash front head restraints, Audio memory, Auto tilt-away steering wheel, Auto-dimming door mirrors, Auto-dimming Rear-View mirror, Automatic temperature control, Brake assist, Bumpers: body-color, CD player, Delay-off headlights, Door auto-latch, Driver door bin, Driver vanity mirror, Dual front impact airbags, Dual front side impact airbags, Electronic Stability Control, Four wheel independent suspension, Front anti-roll bar, Front Bucket Seats, Front Center Armrest w/Storage, Front dual zone A/C, Front fog lights, Front reading lights, Fully automatic headlights, Garage door transmitter: HomeLink, Genuine wood console insert, Genuine wood dashboard insert, Genuine wood door panel insert, Heated door mirrors, Heated Front Bucket Seats, Heated front seats, Heated rear seats, Illuminated entry, Leather Shift Knob, Leather steering wheel, Leatherette Seat Trim, Low tire pressure warning, Memory seat, Occupant sensing airbag, Outside temperature display, Overhead airbag, Overhead console, Panic alarm, Passenger door bin, Passenger vanity mirror, Power door mirrors, Power driver seat, Power moonroof, Power passenger seat, Power steering, Power windows, Radio data system, Radio: AM/FM/Single CD w/INFINITI InTouch, Rain sensing wipers, Rear anti-roll bar, Rear reading lights, Rear seat center armrest, Rear window defroster, Remote keyless entry, Security system, Special Paint - Majestic White, Speed control, Speed-sensing steering, Steering wheel memory, Steering wheel mounted audio controls, Tachometer, Telescoping steering wheel, Tilt steering wheel, Traction control, Trip computer, Turn signal indicator mirrors, Variably intermittent wipers, and Wheels: 18" Unique Aluminum Alloy. *Pricing is based on standard INFINITI APR.Contact us now to find out why so many customers from across the US rely on INFINITI of San Antonio, a family owned business since 1948, to meet their automotive needs!Outside of San Antonio area, no problem, we offer: Reliable, affordable and fast shipping options - Our shipping partners are licensed, bonded, fully insured & experienced with high-end vehicles.Hassle free and competitive financing options - Let us leverage our relationships with leading Banks & Credit Unions to get you the lowest rates and best terms for all credit types.Whether you're shopping for a new INFINITI or a quality used pre-owned vehicle you'll receive the same first-class experience from our certified staff of factory trained specialists.Call us today or visit us at www.infinitiofsanantonio.com. Finance for $567 per month at 4.37% APR for 72 months with $3,995 down payment. Payment expires on 04/30/19. This Vehicle is equipped with: Cargo Package, Essential Package (Around View Monitor w/Moving Object Detection, Bose 10-Speaker Premium Audio System, Climate-Controlled Front Seats, Front & Rear Sonar System, Heated Steering Wheel, INFINITI InTouch Services, Lane Guidance And 3-D Building Graphics, Leather-Appointed Seat Trim, Radio: AM/FM/Single CD w/INFINITI InTouch Nav, and Voice Recognition for Navigation Functions), Premium Select Edition - Graphite Interior (Darkened Lower Rear Bumper, Floor Mats w/Contrast Piping, Illuminated Kick Plates, Rear Decklid Spoiler, Semi-Aniline Leather-Appointed Seating, Sport Brakes, Suede-Like Headliner, and Wheels: 20" x 9.0" Aluminum-Alloy), 4-Wheel Disc Brakes, 6 Speakers, ABS brakes, Air Conditioning, AM/FM radio: SiriusXM, Anti-whiplash front head restraints, Audio memory, Auto tilt-away steering wheel, Auto-dimming door mirrors, Auto-dimming Rear-View mirror, Automatic temperature control, Brake assist, Bumpers: body-color, CD player, Delay-off headlights, Door auto-latch, Driver door bin, Driver vanity mirror, Dual front impact airbags, Dual front side impact airbags, Electronic Stability Control, Four wheel independent suspension, Front anti-roll bar, Front Bucket Seats, Front Center Armrest w/Storage, Front dual zone A/C, Front fog lights, Front reading lights, Fully automatic headlights, Garage door transmitter: HomeLink, Genuine wood console insert, Genuine wood dashboard insert, Genuine wood door panel insert, Heated door mirrors, Heated Front Bucket Seats, Heated front seats, Heated rear seats, Illuminated entry, Leather Shift Knob, Leather steering wheel, Leatherette Seat Trim, Low tire pressure warning, Memory seat, Occupant sensing airbag, Outside temperature display, Overhead airbag, Overhead console, Panic alarm, Passenger door bin, Passenger vanity mirror, Power door mirrors, Power driver seat, Power moonroof, Power passenger seat, Power steering, Power windows, Radio data system, Radio: AM/FM/Single CD w/INFINITI InTouch, Rain sensing wipers, Rear anti-roll bar, Rear reading lights, Rear seat center armrest, Rear window defroster, Remote keyless entry, Security system, Special Paint - Majestic White, Speed control, Speed-sensing steering, Splash Guards, Steering wheel memory, Steering wheel mounted audio controls, Tachometer, Telescoping steering wheel, Tilt steering wheel, Traction control, Trip computer, Turn signal indicator mirrors, Variably intermittent wipers, and Wheels: 18" Unique Aluminum Alloy. *Pricing is based on standard INFINITI APR.Contact us now to find out why so many customers from across the US rely on INFINITI of San Antonio, a family owned business since 1948, to meet their automotive needs!Outside of San Antonio area, no problem, we offer: Reliable, affordable and fast shipping options - Our shipping partners are licensed, bonded, fully insured & experienced with high-end vehicles.Hassle free and competitive financing options - Let us leverage our relationships with leading Banks & Credit Unions to get you the lowest rates and best terms for all credit types.Whether you're shopping for a new INFINITI or a quality used pre-owned vehicle you'll receive the same first-class experience from our certified staff of factory trained specialists.Call us today or visit us at www.infinitiofsanantonio.com. Finance for $570 per month at 4.37% APR for 72 months with $3,995 down payment. Payment expires on 04/30/19. Finance for $605 per month at 4.37% APR for 72 months with $3,995 down payment. Payment expires on 04/30/19. This Vehicle is equipped with: Essential Package (Around View Monitor w/Moving Object Detection, Bose 10-Speaker Premium Audio System, Climate-Controlled Front Seats, Front & Rear Sonar System, Heated Steering Wheel, INFINITI InTouch Services, Lane Guidance And 3-D Building Graphics, Leather-Appointed Seat Trim, Radio: AM/FM/Single CD w/INFINITI InTouch Nav, and Voice Recognition for Navigation Functions), Performance Tire & Wheel Package (20" Split 5-Spoke Aluminum-Alloy Wheels and Sport Brakes), Sensory Package (Power Rear Sunshade, Premium Silver-Powdered White Ash Wood Accents, Premium Stitched Meter Hood, Semi-Aniline Leather-Appointed Seating, Suede-Like Headliner, and Unique Quilted Seat Pattern), 4-Wheel Disc Brakes, 6 Speakers, ABS brakes, Air Conditioning, AM/FM radio: SiriusXM, Anti-whiplash front head restraints, Audio memory, Auto tilt-away steering wheel, Auto-dimming door mirrors, Auto-dimming Rear-View mirror, Automatic temperature control, Brake assist, Bumpers: body-color, CD player, Delay-off headlights, Door auto-latch, Driver door bin, Driver vanity mirror, Dual front impact airbags, Dual front side impact airbags, Electronic Stability Control, Four wheel independent suspension, Front anti-roll bar, Front Bucket Seats, Front Center Armrest w/Storage, Front dual zone A/C, Front fog lights, Front reading lights, Fully automatic headlights, Garage door transmitter: HomeLink, Genuine wood console insert, Genuine wood dashboard insert, Genuine wood door panel insert, Heated door mirrors, Heated Front Bucket Seats, Heated front seats, Heated rear seats, Illuminated entry, Leather Shift Knob, Leather steering wheel, Leatherette Seat Trim, Low tire pressure warning, Memory seat, Occupant sensing airbag, Outside temperature display, Overhead airbag, Overhead console, Panic alarm, Passenger door bin, Passenger vanity mirror, Power door mirrors, Power driver seat, Power moonroof, Power passenger seat, Power steering, Power windows, Radio data system, Radio: AM/FM/Single CD w/INFINITI InTouch, Rain sensing wipers, Rear anti-roll bar, Rear reading lights, Rear seat center armrest, Rear window defroster, Remote keyless entry, Security system, Special Paint - Majestic White, Speed control, Speed-sensing steering, Steering wheel memory, Steering wheel mounted audio controls, Tachometer, Telescoping steering wheel, Tilt steering wheel, Traction control, Trip computer, Turn signal indicator mirrors, Variably intermittent wipers, and Wheels: 18" Unique Aluminum Alloy. *Pricing is based on standard INFINITI APR.Contact us now to find out why so many customers from across the US rely on INFINITI of San Antonio, a family owned business since 1948, to meet their automotive needs!Outside of San Antonio area, no problem, we offer: Reliable, affordable and fast shipping options - Our shipping partners are licensed, bonded, fully insured & experienced with high-end vehicles.Hassle free and competitive financing options - Let us leverage our relationships with leading Banks & Credit Unions to get you the lowest rates and best terms for all credit types.Whether you're shopping for a new INFINITI or a quality used pre-owned vehicle you'll receive the same first-class experience from our certified staff of factory trained specialists.Call us today or visit us at www.infinitiofsanantonio.com. Finance for $658 per month at 4.37% APR for 72 months with $3,995 down payment. Payment expires on 04/30/19. This Vehicle is equipped with: Essential Package (Around View Monitor w/Moving Object Detection, Bose 10-Speaker Premium Audio System, Climate-Controlled Front Seats, Front & Rear Sonar System, Heated Steering Wheel, INFINITI InTouch Services, Lane Guidance And 3-D Building Graphics, Leather-Appointed Seat Trim, Radio: AM/FM/Single CD w/INFINITI InTouch Nav, and Voice Recognition for Navigation Functions), Performance Tire & Wheel Package (20" Split 5-Spoke Aluminum-Alloy Wheels and Sport Brakes), 4-Wheel Disc Brakes, 6 Speakers, ABS brakes, Air Conditioning, AM/FM radio: SiriusXM, Anti-whiplash front head restraints, Audio memory, Auto tilt-away steering wheel, Auto-dimming door mirrors, Auto-dimming Rear-View mirror, Automatic temperature control, Brake assist, Bumpers: body-color, CD player, Delay-off headlights, Door auto-latch, Driver door bin, Driver vanity mirror, Dual front impact airbags, Dual front side impact airbags, Electronic Stability Control, Four wheel independent suspension, Front anti-roll bar, Front Bucket Seats, Front Center Armrest w/Storage, Front dual zone A/C, Front fog lights, Front reading lights, Fully automatic headlights, Garage door transmitter: HomeLink, Genuine wood console insert, Genuine wood dashboard insert, Genuine wood door panel insert, Heated door mirrors, Heated Front Bucket Seats, Heated front seats, Heated rear seats, Illuminated entry, Leather Shift Knob, Leather steering wheel, Leatherette Seat Trim, Low tire pressure warning, Memory seat, Occupant sensing airbag, Outside temperature display, Overhead airbag, Overhead console, Panic alarm, Passenger door bin, Passenger vanity mirror, Power door mirrors, Power driver seat, Power moonroof, Power passenger seat, Power steering, Power windows, Radio data system, Radio: AM/FM/Single CD w/INFINITI InTouch, Rain sensing wipers, Rear anti-roll bar, Rear reading lights, Rear seat center armrest, Rear window defroster, Remote keyless entry, Security system, Special Paint - Majestic White, Speed control, Speed-sensing steering, Steering wheel memory, Steering wheel mounted audio controls, Tachometer, Telescoping steering wheel, Tilt steering wheel, Traction control, Trip computer, Turn signal indicator mirrors, Variably intermittent wipers, and Wheels: 18" Unique Aluminum Alloy. *Pricing is based on standard INFINITI APR.Contact us now to find out why so many customers from across the US rely on INFINITI of San Antonio, a family owned business since 1948, to meet their automotive needs!Outside of San Antonio area, no problem, we offer: Reliable, affordable and fast shipping options - Our shipping partners are licensed, bonded, fully insured & experienced with high-end vehicles.Hassle free and competitive financing options - Let us leverage our relationships with leading Banks & Credit Unions to get you the lowest rates and best terms for all credit types.Whether you're shopping for a new INFINITI or a quality used pre-owned vehicle you'll receive the same first-class experience from our certified staff of factory trained specialists.Call us today or visit us at www.infinitiofsanantonio.com. Finance for $745 per month at 4.47% APR for 72 months with $3,995 down payment. Payment expires on 04/30/19. This Vehicle is equipped with: Cargo Package, Essential Package (Around View Monitor w/Moving Object Detection, Bose 10-Speaker Premium Audio System, Climate-Controlled Front Seats, Front & Rear Sonar System, Heated Steering Wheel, INFINITI InTouch Services, Lane Guidance And 3-D Building Graphics, Leather-Appointed Seat Trim, Radio: AM/FM/Single CD w/INFINITI InTouch Nav, and Voice Recognition for Navigation Functions), Premium Select Edition - Graphite Interior (Darkened Lower Rear Bumper, Floor Mats w/Contrast Piping, Illuminated Kick Plates, Rear Decklid Spoiler, Semi-Aniline Leather-Appointed Seating, Sport Brakes, Suede-Like Headliner, and Wheels: 20" x 9.0" Aluminum-Alloy), 4-Wheel Disc Brakes, 6 Speakers, ABS brakes, Air Conditioning, AM/FM radio: SiriusXM, Anti-whiplash front head restraints, Audio memory, Auto tilt-away steering wheel, Auto-dimming door mirrors, Auto-dimming Rear-View mirror, Automatic temperature control, Brake assist, Bumpers: body-color, CD player, Delay-off headlights, Door auto-latch, Driver door bin, Driver vanity mirror, Dual front impact airbags, Dual front side impact airbags, Electronic Stability Control, Four wheel independent suspension, Front anti-roll bar, Front Bucket Seats, Front Center Armrest w/Storage, Front dual zone A/C, Front fog lights, Front reading lights, Fully automatic headlights, Garage door transmitter: HomeLink, Genuine wood console insert, Genuine wood dashboard insert, Genuine wood door panel insert, Heated door mirrors, Heated Front Bucket Seats, Heated front seats, Heated rear seats, Illuminated entry, Leather Shift Knob, Leather steering wheel, Leatherette Seat Trim, Low tire pressure warning, Memory seat, Occupant sensing airbag, Outside temperature display, Overhead airbag, Overhead console, Panic alarm, Passenger door bin, Passenger vanity mirror, Power door mirrors, Power driver seat, Power moonroof, Power passenger seat, Power steering, Power windows, Radio data system, Radio: AM/FM/Single CD w/INFINITI InTouch, Rain sensing wipers, Rear anti-roll bar, Rear reading lights, Rear seat center armrest, Rear window defroster, Remote keyless entry, Security system, Speed control, Speed-sensing steering, Splash Guards, Steering wheel memory, Steering wheel mounted audio controls, Tachometer, Telescoping steering wheel, Tilt steering wheel, Traction control, Trip computer, Turn signal indicator mirrors, and Variably intermittent wipers. *Pricing is based on standard INFINITI APR.Contact us now to find out why so many customers from across the US rely on INFINITI of San Antonio, a family owned business since 1948, to meet their automotive needs!Outside of San Antonio area, no problem, we offer: Reliable, affordable and fast shipping options - Our shipping partners are licensed, bonded, fully insured & experienced with high-end vehicles.Hassle free and competitive financing options - Let us leverage our relationships with leading Banks & Credit Unions to get you the lowest rates and best terms for all credit types.Whether you're shopping for a new INFINITI or a quality used pre-owned vehicle you'll receive the same first-class experience from our certified staff of factory trained specialists.Call us today or visit us at www.infinitiofsanantonio.com. Finance for $858 per month at 4.62% APR for 72 months with $3,995 down payment. Payment expires on 04/30/19. 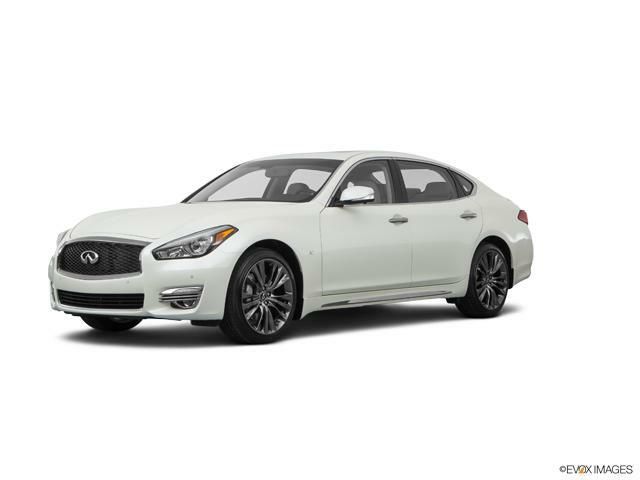 Gray 2018 INFINITI Q70L 3.7 RWD 7-Speed Automatic 3.7L 6-Cylinder 20" Split 5-Spoke Aluminum-Alloy Wheels, Around View Monitor w/Moving Object Detection, Bose 10-Speaker Premium Audio System, Climate-Controlled Front Seats, Essential Package, Front & Rear Sonar System, Heated Steering Wheel, INFINITI InTouch Services, Lane Guidance And 3-D Building Graphics, Leather-Appointed Seat Trim, Performance Tire & Wheel Package, Power Rear Sunshade, Premium Silver-Powdered White Ash Wood Accents, Premium Stitched Meter Hood, Radio: AM/FM/Single CD w/INFINITI InTouch Nav, Semi-Aniline Leather-Appointed Seating, Sensory Package, Sport Brakes, Suede-Like Headliner, Unique Quilted Seat Pattern, Voice Recognition for Navigation Functions. Finance for $866 per month at 4.62% APR for 72 months with $3,995 down payment. Payment expires on 04/30/19. 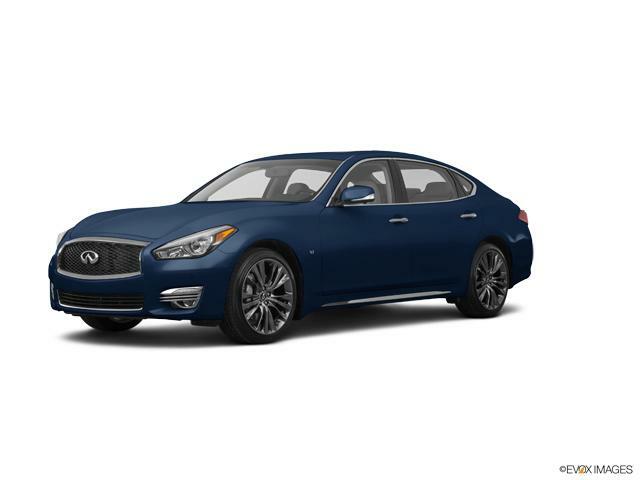 Majestic 2018 INFINITI Q70L 3.7 RWD 7-Speed Automatic 3.7L 6-Cylinder 20" Split 5-Spoke Aluminum-Alloy Wheels, Around View Monitor w/Moving Object Detection, Bose 10-Speaker Premium Audio System, Climate-Controlled Front Seats, Essential Package, Front & Rear Sonar System, Heated Steering Wheel, INFINITI InTouch Services, Lane Guidance And 3-D Building Graphics, Leather-Appointed Seat Trim, Performance Tire & Wheel Package, Power Rear Sunshade, Premium Silver-Powdered White Ash Wood Accents, Premium Stitched Meter Hood, Radio: AM/FM/Single CD w/INFINITI InTouch Nav, Semi-Aniline Leather-Appointed Seating, Sensory Package, Sport Brakes, Suede-Like Headliner, Unique Quilted Seat Pattern, Voice Recognition for Navigation Functions. Finance for $878 per month at 4.62% APR for 72 months with $3,995 down payment. Payment expires on 04/30/19.